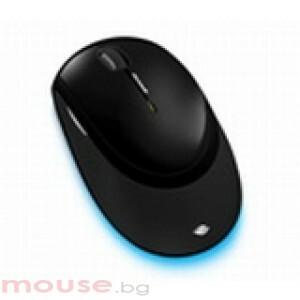 8-Month Battery Life: Use your mouse without power interruption for up to 8 months. The snap-in transceiver automatically turns the mouse on and off, and the LED battery status indicator lets you know when replacement is needed. Device Stage: Quickly and easily access common tasks, including product information, registration, settings and more for popular devices such as cell phones, cameras, printers, and mouse, keyboard and webcam products. Snap-in Transceiver: Simply snap in the transceiver for convenient on-the-go storage. BlueTrack Technology: Microsoft BlueTrack Technology combines the power of optical with the precision of laser for remarkable tracking on virtually any surface. Comfort for Either Hand: Modern design and premium finish provides comfort for either hand. Symmetrical shape and unique rubber grips give you control and cushioning.